- Finished sizes - 600x18mm - 500x18mm - 400x18mm - 300x18mm with Knotty-Pine Redwood Finger-Jointed Solid Timber Staves. Not suitable for use as Doors without suitable framing or bracing - Twisting & cupping can occur if Pine Boards are not fixed in place. For internal domestic use, in dry areas. 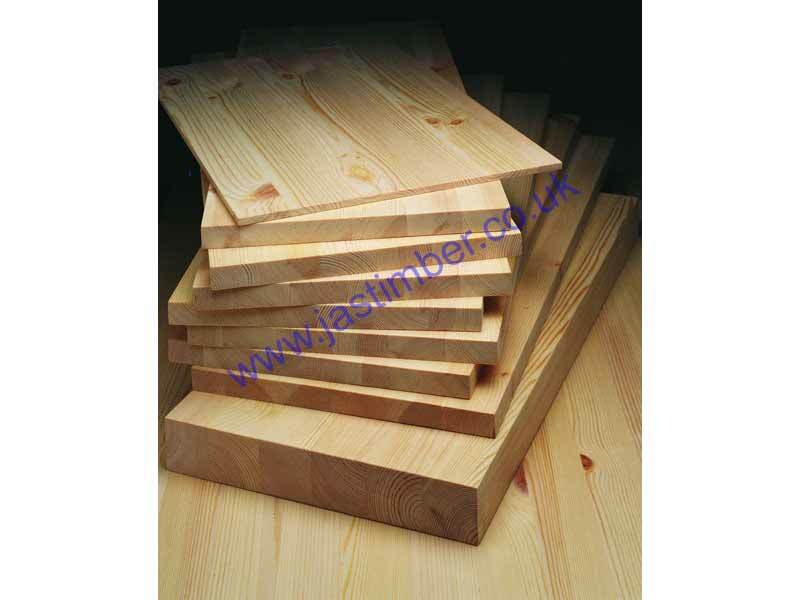 18mm Pine solid timber Jointed-Boards - Solid-Pine finger-jointed timber staves can be 40mm to 60mm wide by 18mm thick. There are also 1800mm sizes, and 1200mm sizes in 18mm thickness, and sizes in 27mm and 40mm thickness. 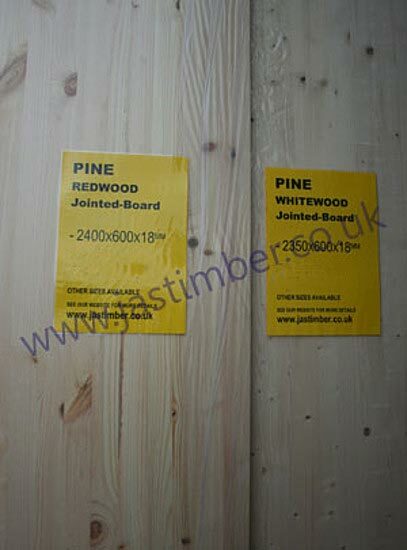 Pine Jointed Board is sold for internal domestic use in dry areas. Be aware: For a multitude of reasons, size and profile of timber may vary from batch to batch, so it is best to purchase all you need for a job in one go, rather than buying more at a later date. - We cannot be held responsible for any variations in machined 18mm Pine Jointed Board sizes, pattern, grading, moisture content, treatment, certi­fica­tion, knots, colour or grain. - We cannot exchange any Timber Board after cutting - Pine Timber Boards are supplied as a Special Order. Smooth transaction, collected from yard, helpful and friendly staff. 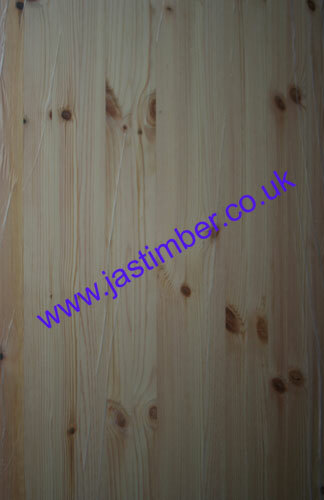 ProBoard 18mm Pine Board can be ordered online; Just add to basket which calculates carriage by weight. E. & O.E. seeT&C - We do try to keep prices and specifi­cations of 18mm Redwood Furniture Board correct, but mistakes can be made!